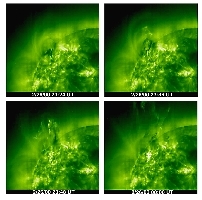 One hour of a coronal mass ejection on Feb. 26-27, 2000 taken by EIT 195Å. 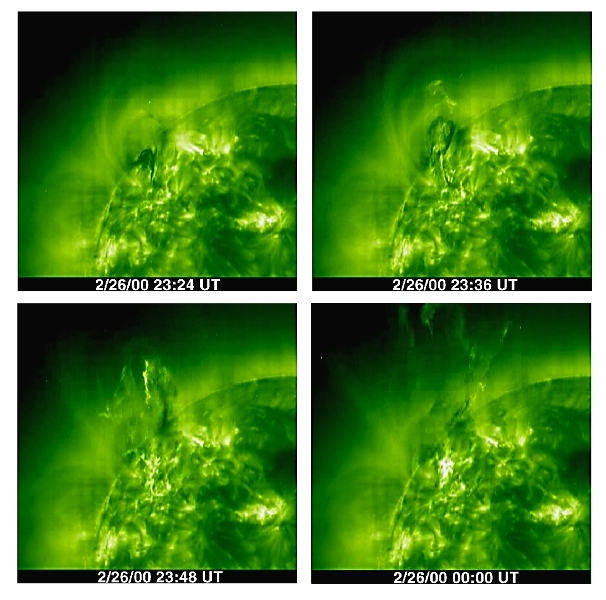 A CME blasts into space a billion tons of particles travelling millions of miles an hour. 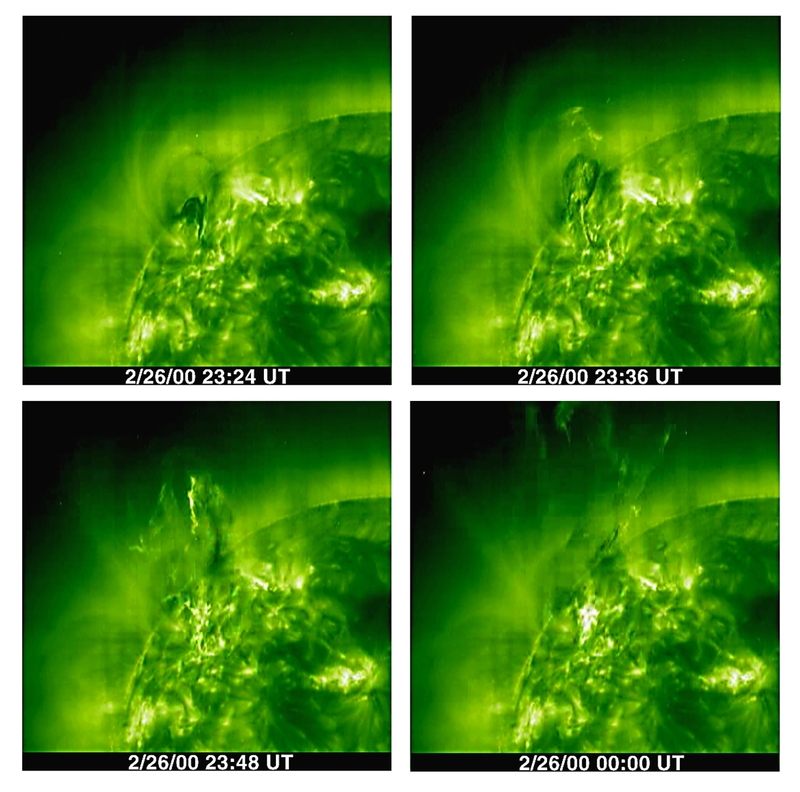 This particular CME led to the "lightbulb- shaped" images seen by LASCO's C2 and C3 instruments on Feb. 27th and featured on our "Hot Shots" page.